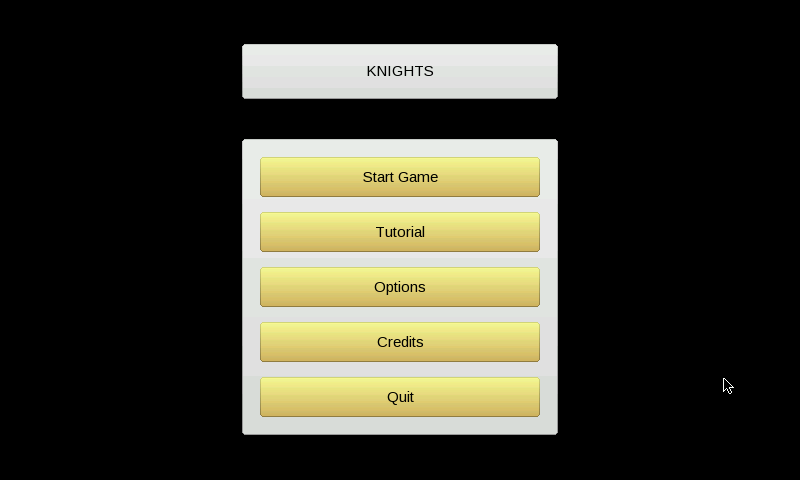 Knights is a singleplayer/multiplayer game involving several knights who must run around a dungeon and complete various quests. 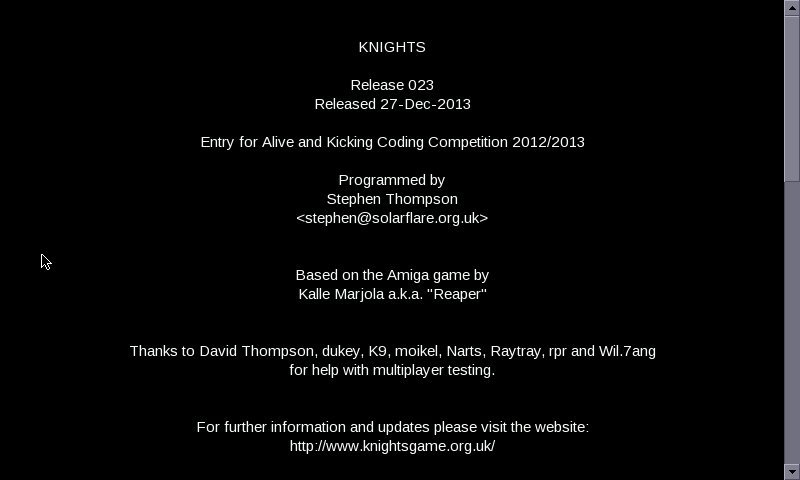 - Third entry for Alive and Kicking Coding Competition 2013/2014. 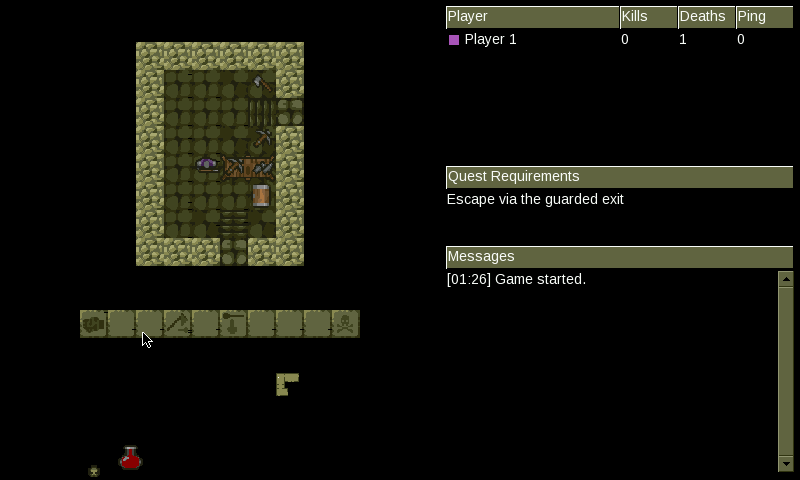 - Changed default controls to keyboard only. - Included reference to competition on Credits, see second preview. Ups, forget about it. Thx for the reminder. Works. 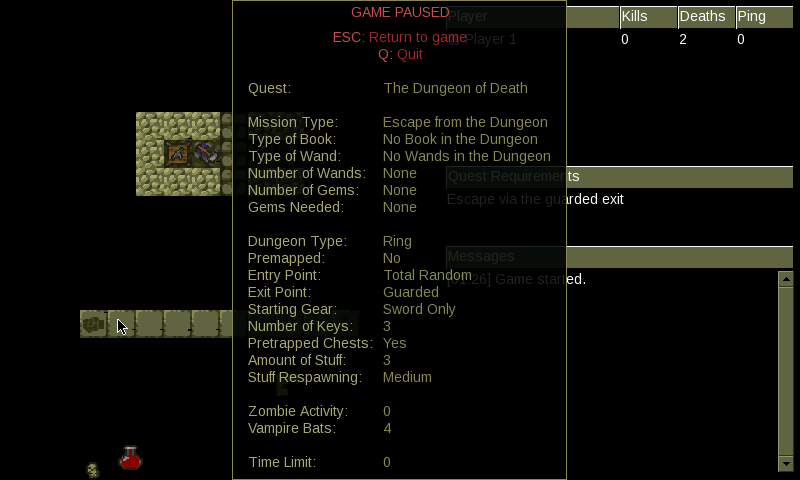 I think the mouseless mode is suited better to the pandora controls.